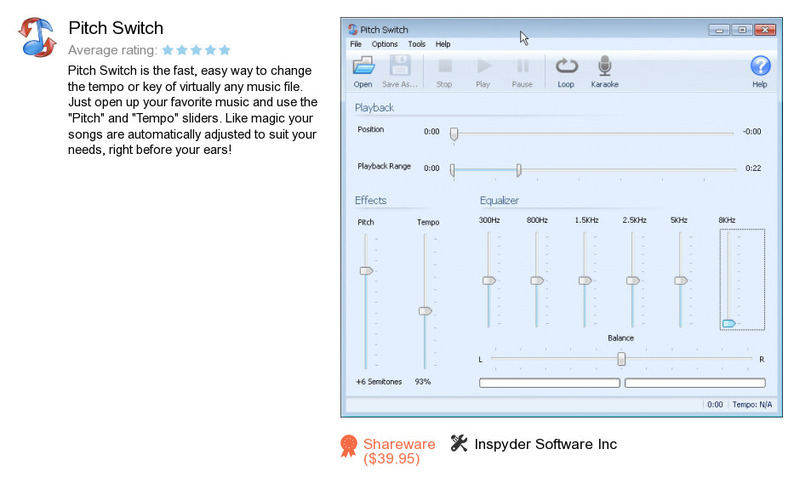 Pitch Switch is a program developed by Inspyder Software Inc.. We know of versions 4.0, 3.2. Version 4.0.9 is downloadable at our site. Pitch Switch distributive has a size of 18,547,530 bytes. Inspyder Software Inc. also publishes Inspyder InSite Trial and Inspyder Sitemap Creator.